Husted says there are some Ohio counties with more registered voters than eligible voters. 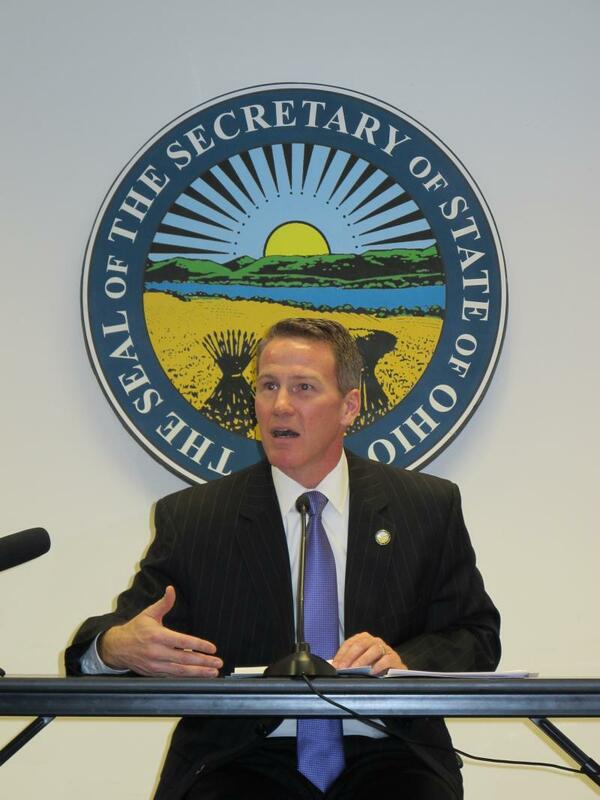 The state is being sued over the way Secretary of State Jon Husted is handling the removal of voters from the state’s voting rolls. The Ohio American Civil Liberties Union’s Freda Levinson says Ohio Secretary of State Jon Husted is using illegal criteria to purge voters. “Under federal law, it is not permissible to cancel a voter for exercising their right not to vote,” Levinson said. Levinson says voters can be removed if they have moved or died but not because they haven’t voted. But Husted says he’s removing voters through a court-approved process. “This, to me, falls under the category of frivolous election year lawsuits that waste taxpayer time and money,” Husted said. Husted says 1.3 million duplicate voters were removed. Deceased voters, 465,000 of them, were removed too. He says there were some counties with more registered voters than eligible voters. Last month, Husted lost an attempt to keep 17-year-olds -- who will be 18 by the general election -- from voting in the primary -- as they've been allowed to do since the early 1980s. The ACLU of Ohio is taking action to stop the state from removing residents who don’t vote often enough from the voting rolls. The organization sent a letter to Ohio Secretary of State Jon Husted today demanding that it stop a process that it calls illegal. Legal Director Freda Levenson says Ohio’s current program punishes Ohio voters.